← Books extracted from movies? Is that even qualitatively possible? When my friend Steve managed to cajole me into reading Flannery O’Connor, I had no idea I was going to become as fascinated with her work as I have. I certainly never realized that a body of work as stark and sometimes bellicose would have a metaphysical third dimension to it the way it truly does. 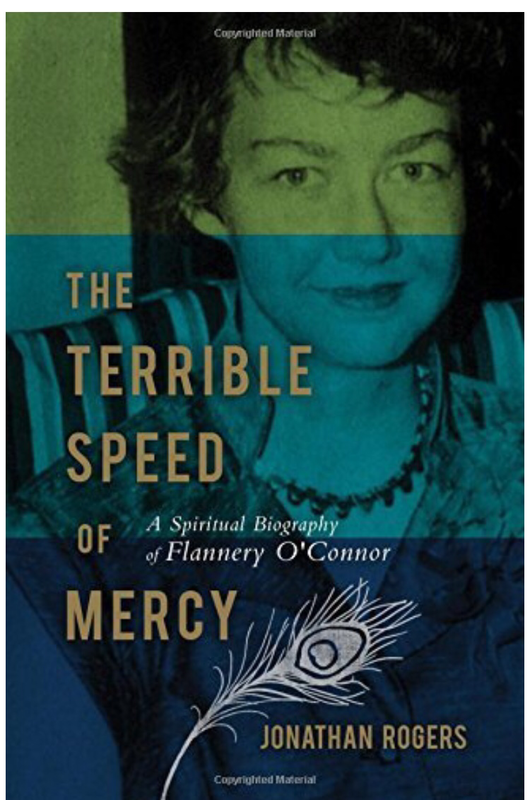 The Terrible Speed of Mercy takes us on a fascinating, and yet concise journey of the very short life of O’Connor. And since I am new to her work, and have not yet completed the short stories, I found the quotes, references and Ibids to her letters the most compelling. It certainly takes a razor everyday wit to compose pieces in which the literary wit is an extremely slow burn—like a fuse. And in many cases, her pieces are the kind that leaves us with the fuse burning; we never do see the bomb go off. Others are the bomb that goes off without us knowing there was even the chance of detonation. The stories are hard because there is nothing harder or less sentimental than Christian realism. I believe that there are many rough beasts now slouching towards Bethlehem to be born and that I have reported the progress of a few of them, and when I see these stories described as horror stories I am always amused because the reviewer always has hold of the wrong horror. Her proximal upbringing and exposure to amputees, recidivist youth, and mental patients are what colors her work. Granted. Freaks do show up in her work. But sometimes the freaks turn out to be the ones that show us that we—the sinner—are as distorted in our hearts as they appear to be in their extremities. And that can be—a horror story in and of itself. This entry was posted in Book reviews, Books, Novel writing and tagged flannery o'connor, short stories. Bookmark the permalink. Completely agree with your last paragraph. O’Connor’s characters surely are a mirror for the condition of every human soul. Great review, Ron. I’m going to get the book. Did you ever read the article on Flannery, from her publisher’s perspective, that I sent awhile back? I believe it was a Forward at one time to one of her collections. I missed it. No idea how, but if you have it, please send it again.